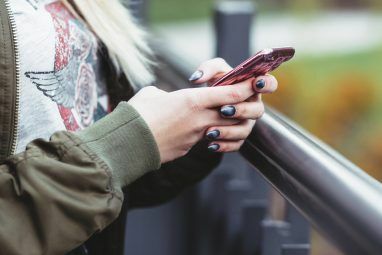 The microblogging website Tumblr is one of the most valuable tools to connect with like-minded people, customers, and fan communities, but is also one of the most difficult forms of social media to break into. Whether you are an author or artist, fan or creator, the recipe for Tumblr success remains the same — and it’s a recipe we’re willing to share. Without a solid understanding of how Tumblr works The Unofficial, Beginner's Guide to Tumblr The Unofficial, Beginner's Guide to Tumblr Tumblr's the number one social networking site for people under 25. Clearly it's important, but it's a bit mystifying. It's less a blog than it is an anti-blog. Read More , it can seem like you’re sharing your well-written opinions and hilarious gifs into a void. When you are using your time to create quality content it can be disheartening to watch your follower number stay static, and your posts remain unblogged. Most times, this lack of growth can be attributed to a few simple oversights in your blogging strategy. As I’ve learned through my own trial and error process, all it really takes to build a following on Tumblr is some targeted time spent identifying your niche, building connections, remaining authentic, and giving your blog time to grow. Let’s take a step back for a moment and identify some of Tumblr’s features that make it such a great tool for users, but also a challenging environment for creators of original content! Tumblr is a free microblogging website that allows all of its users to re-blog existing content or to share original content (including text posts, videos, photographs, and GIFs) directly with their followers. Posts can also be shared with other users indirectly through the use of tags. By tagging a post with a specific word or phrase, the post becomes visible to anyone who searches for that word or phrase through Tumblr’s centralized search system. While this system allows users to quickly find posts that fit their interests, with over 227.1 million blogs and 106 billion posts it can be very difficult to ensure that a creator’s original work will find an audience. Creating a blog on Tumblr How To Easily Create a Blog with Tumblr How To Easily Create a Blog with Tumblr Read More is easy enough, and it is easy to understand the Tumblr interface What Is Tumblr? [MakeUseOf Explains] What Is Tumblr? [MakeUseOf Explains] Tumblr can be a great community to express yourself and create a personalized feed of content that you love, so let's look a little deeper at what exactly it is. Read More after an hour or two of exploring. However, creating a following and finding a community of people that you want to reach with your content is often difficult. Before you begin following every blog Tumblr suggests to you, reblogging uncontrollably, or tagging posts with abandon, here are some suggestions to help you cultivate a following that is not only the size you want, but also full of quality blogs written by people you enjoy interacting with. When you are trying to connect with and inspire others on Tumblr How To Use Tumblr To Inspire Yourself and the People Around How To Use Tumblr To Inspire Yourself and the People Around Read More , it is incredibly important that they know what to expect from you and your blog. Determine the kind of content you want to post (Personal essays? Photographs of scenery? Advice on a topic you are an expert in? Funny pictures of cats? ), and try to keep all of your posts and reblogs within that scope. Having a few posts outside your normal area can be a great way to add a ‘human element’ to your posts, but should only be done once you already have an established following. 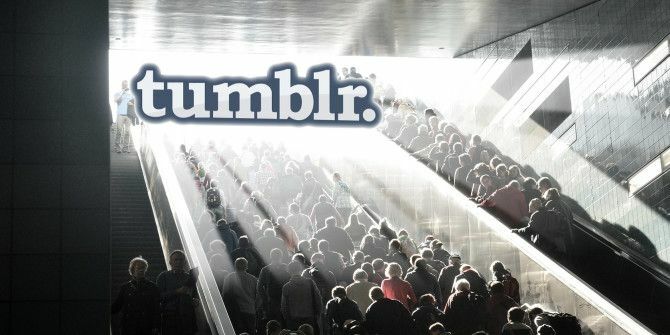 Tumblr is often recognized for its larger communities, such as television show fans, fitness blogs, and art. Despite this perception, not only are there incredibly specific sub-communities within these large groups, there are also hundreds of other communities that are not generally recognized by those who are not a part of them. This means that no matter what you have decided your niche is, you will be able to find others who are interested in the material that you are posting. This is one of the reasons why it is so important you decide on your niche before you start to look for followers — you want to build a blog that is true to you and your interests, not one designed for the people you think you “should” reach. So, if your intended niche is cats — not only can you see the top blogs and posts in this category, but you also learn that tagging things as “animals” “kittens” and “cute” will all reach a similar audience! Once you have decided on a direction for your blog, your next step is to find others who are also interested in the same topics. As a social media platform, Tumblr’s community is unique and Tumblr etiquette The Undiscovered Country: Getting To Grips With Tumblr Etiquette The Undiscovered Country: Getting To Grips With Tumblr Etiquette Etiquette is more than simply being kind and polite. It's about learning the internal, unspoken rules of a community. Here are a few Tumblr guidelines to keep in mind. Read More rules have developed within the community over the past few years. One of the best things about Tumblr is that it is designed for communication between bloggers; the more you communicate with other bloggers, the faster your own following will grow. This helps to build a relationship between you and your new followers rather than insinuating that you are not interested in their posts. This also means that you need to make sure the Tumblr you want to make popular is your primary one. Tagging your posts is more complicated than you may think. Definitely tag each of your posts with about five identifying key words or phrases, both so that you can find them on your own blog and so that others who are not yet following you can also find them. Each community uses different phrases to identify their posts, and these may not be obvious. As you learn more about your community you will quickly pick up on the right tags to use to get noticed. This strategy may lead to a Tumblr post going viral 5 Surprising Things I Learned By Watching A Post Go Viral On Tumblr 5 Surprising Things I Learned By Watching A Post Go Viral On Tumblr Imagine your surprise when you wake up one morning to find that something you made has gone viral. You can learn lots about how content behaves on Tumblr by watching the viral process unfold. Read More , but keep in mind that consistently putting out good content will bring you more followers than a single viral post. By using Tumblr’s ‘Explore’ feature and searching the keywords for your area of interest, you can quickly find plenty of posts and images that may interest you. Reblogging these is definitely an important part of building connections with other bloggers, but reblogging content with the addition of your own comments (such as positive commentary on a photo, or a respectful discussion of a political idea) is a fantastic way to enrich your communication with other users. As this happens, you may find that you gain followers from reblogs that have your commentary attached. While upping your follower count may be your end goal, there is more to your blog’s success than followers from Tumblr alone. If you link to your Tumblr on other social media profiles and websites you are likely to draw in dedicated readers. Even if these individuals do not follow you, they may share your blog with others (whether by word of mouth or through their own social media platforms), which in turn will direct interested followers to you. Tumblr has an excellent fanmail feature that allows you to directly message other bloggers. 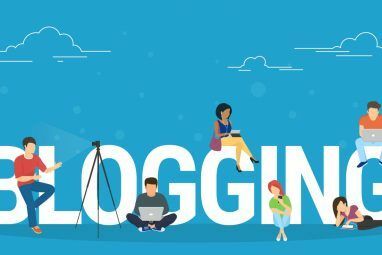 This is a great way of connecting with bloggers you admire, or to ask questions about a blog post that piqued your interest, and increases the likelihood that other bloggers will follow you in turn. On Tumblr it is easy to get caught up in the number of followers that you have, and it can be tempting to find followers in other ways. In some cases, this may mean following anyone who promises to follow you back, adding your url to a ‘follow chain’, or making blog posts that beg readers to help you reach a certain number of followers. These methods may inflate your follower numbers initially, but rarely lead to the development of a solid community of followers; the accounts often belong to bots or to individuals who are not interested in your content while alienating those who do follow you for your content. Stay true to your niche and to the material that you want to communicate so that every follower you gain will be a follower you know you earned. The most important thing to remember is that no blog (save those created by the already-famous *cough* Taylor Swift *cough*) gain thousands of followers overnight, no matter the quality of their posts. As you begin to build a strong history of quality posts, build relationships with those who are interested in the same things as you are, and constantly tag your posts for maximum visibility within your niche, your followers will increase. Remember that this is often a slow process at first, but that the numbers will quickly increase as time passes, and that the resulting community will be worth the slow going at the beginning. Tumblr is an incredible resource for inspiration, the sharing of ideas, and the best GIFs in the world. It really is the community aspect that allows Tumblr to be such a unique form of social media – curating a collection on a personal blog that is easily accessible to a large audience opens the door for intense discussions, inside jokes, and knowledgable commentary on any topic imaginable. What Are Your Tumblr Tips? For those of you who spend more time on your dashboard than you’d care to admit–what Tumblr communities are you a part of? Do you have any additional suggestions for gaining quality followers? For me, BlogOnAuto [com] is going to be my first and favorite choice for boosting followers and traffic on my Tumblr accounts and websites with so much ease without me spending hours and getting tired. Thanks to BlogOnAuto for what my Tumblr account looks now without doing any hard work compared to what I used to have even after dedicating numerous hours to my Tumblr account. Thank you for this article.Hoping for more article about Tumblr. Great, thanks for this article! I haven't updated my tumblr in a long time , because I was frustrated. I am going to try these today and see what happens. Were they helpful? Did your blog grow? I am about to take some of this advice and just wanted to know. Thank you! Very interesting, thanks. My WordPress blog has been slow to gain followers and Facebook doesn't appeal to me. I'll have a look at Tumblr. Thanks for your comment, Richard! You'll have to let me know what you think of Tumblr - it's a bit of a different beast than WordPress, but depending on what you're communicating can be very, very effective! I post witchcraft, aesthetics, astrology, tarot/divination, and more~ I follow back similar! Thank you for writing this--I'll keep your advice in mind. I only want my original content on my page, but I'll be happy to sincerely follow and comment on others' work. I feel your pain... I've had a blog for a couple of year and still have less than 200 followers... my primary complaint and/or problem is that my primary blog is not my focus... but rather my secondary blog... I wish that I could switch them around. Saludos from an expat in Chile! A photographic journey of an expat’s life in the “true” deep south… South America! I just got tumblr a few weeks ago. My main blog now has 200+ followers. About 20 or so notes on each post. Hunh?? It's all about hot naked chics man!